The good weather continued during our visit to the Bay of Laig on the island of Eigg. This is a beautiful beach, shared as you can see with the local cattle. But it is also well known for some extraordinary geological forms, concretions, about which more in the next blog. Posted in Photography, Scotland and tagged Bay of Laig, Eigg, photography, Scotland. Bookmark the permalink. 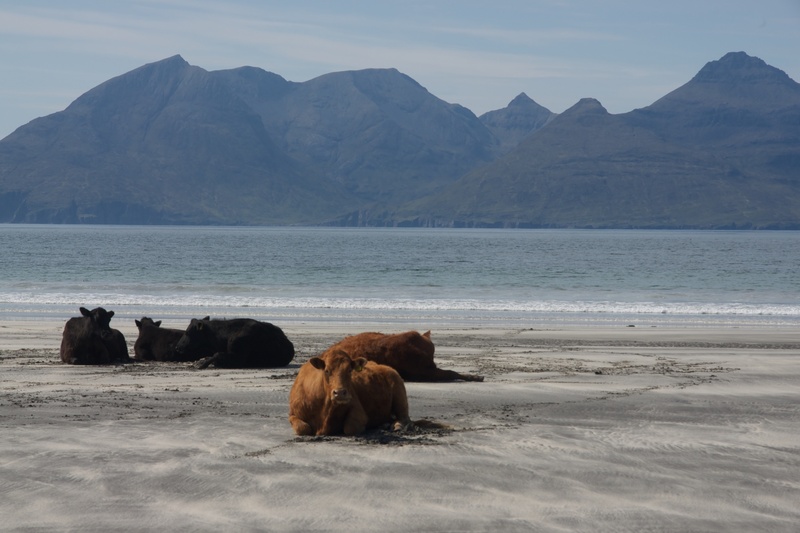 Hahaha, this is the second cows-on-a-beach picture I’ve seen this week. What in the world is up with all the cows?? 🙂 Love the picture though! Keep up the awesome photos!